Rosiatter Gavins Baker, age 63, of Ft. Walton Beach, Florida passed away Saturday, April 13, 2019 at her home. She was born September 8, 1955 in Opp, Alabama to her parents, Robert Gavins and Rosa Lee Akens. She was married to John Willie Baker, May 28, 1994 in DeFuniak Springs, Fl. They resided in Ft. Walton Beach. Rosiatter loved homemaking, traveling, crafting, movies, listening to music, spending time with grandchildren and other loved ones. She was known as a woman of her word. A woman that would give you her last. She had an outgoing personality, she didn’t bite her tongue and would tell it like it t-i-s.
She is survived by her husband, John Willie Baker; children, Lambert Gavins, Shannon (Dwight) Simmons Jr.; stepson, Thaddeus Baker and “adopted” sons and daughters; grandchildren, Briana Simmons, Isaiah Simmons, Tangela Perry, Tiffany Perry, Jessica Perry; great granddaughter, Hazel Baker; sister, Emma Caldwell; “adopted” grandsons, granddaughter and great-grandson; numerous nieces, nephews, cousins and in laws, numerous friends and associates. 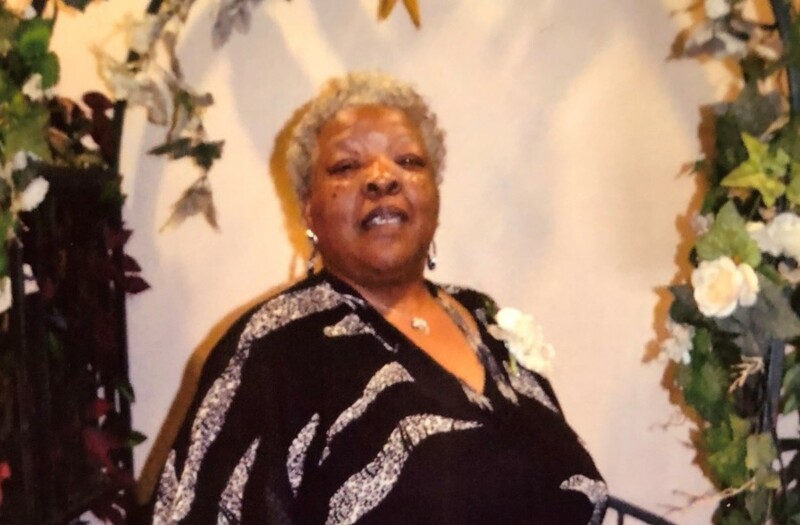 Visitation will be held Saturday, April 20, 2019 at Davis Watkins Funeral Home, 113 NE Racetrack Road, Ft. Walton Beach, Fl 32547 starting at 1:00 p.m. Funeral Services will begin at 2:00 with Pastor A.M. Johnson, Reverend Alice Faye Allen and Pastor Charles Flowers officiating. The family of Rosiatter Gavins Baker is grateful to God for the gift of family and friends; Oliver and Drenda Andrews, Barbara Simmons, Lisa Wise, Bill and Deborah Stone, Ava Powell and family, the Glawson family, Home Health family, the office of James P. Wilson, M.D. and the nursing staff at Twin Cities Hospital. It is with sincere gratitude and heartfelt appreciation that we express our appreciation to each of you during our hour of bereavement. We also thank you for the love which has been conveyed through prayers, phone calls, cards, food and encouraging words. Flower arrangements can be sent directly to Davis Watkins Funeral Home, please visit www.daviswatkins.com to sign the guestbook, express condolences and share memories. There's still time to send flowers to the Visitation at the Davis-Watkins Funeral Home from 1:00 PM to 2:00 PM on April 20, 2019.